With potential threats around every corner and with every click, it’s becoming more and more critical to protect your personal computer online. 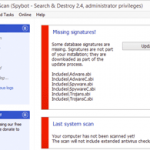 Spybot Search and Destroy is a Free, Powerful anti-spyware & anti-adware tool to ensure that you and your family are protected while surfing the web. This sophisticated software goes to work searching out unwanted and aggressive Adware, Browser Hijacks, Dialers as well as Keyloggers and other malicious files on your computer. Consequently, malicious files left unchecked can cause a number of issues and leave your computer venerable to deeper attacks. They wouldn’t call it Search and Destroy if it didn’t do just that. Spybot is ready to safely “Quarantine” and “Purge” (Destroy) the malicious, aggressive spyware with one click. With the addition of the powerful “Immunize” feature, you can rest assured that you remain protected from these threats. Feel confident with weekly security updates and algorithm changes. Updates are done to keep up with modern malicious threats like ransomware and other major viruses. However, the easy to use interface allows you to navigate through tools and basic scans. 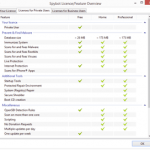 This makes updating simple and easy to perform. Staying informed is important and the key to keeping safe. Additionally, There are many different communities and forums to find information and get technical support. However, the response time for direct e-mails is usually no more than 24 hrs from professional technicians. Online security doesn’t just for your desktop. This program also scans, protects and repairs your mobile phone as well. This security software has your entire digital world secure. This award-winning software stands behind its product with the best interest of their clients. If you can’t afford other security software then this is your next best approach to keeping your data and private information safe. What do you think of Spybot Search & Destroy ? Have a question or comment? Leave a comment below.